The combination of traditional skills blended with 21st century technology has made Grays the choice of International players. Nano technology improves stick strength & stability. Offers greater consistency when hitting the ball. Improved feel & handling when controlling the ball. Increased durability on synthetic pitches. Aerodynamic O Ports aloowing air to flow freely through the "O Port" improving energy efficiency and reducing drag resistance, allowing the stick and hands to move more freely. It improves the ability to move the stick more quickly in all directions, it increases "hand speed" when dribbling and it increases "swing speed" when hitting the ball. Features Triplicate Handle System and Improved Feel Area. Fully integrated carbon and aramid composite offers consistent power and excellent balance and feel. 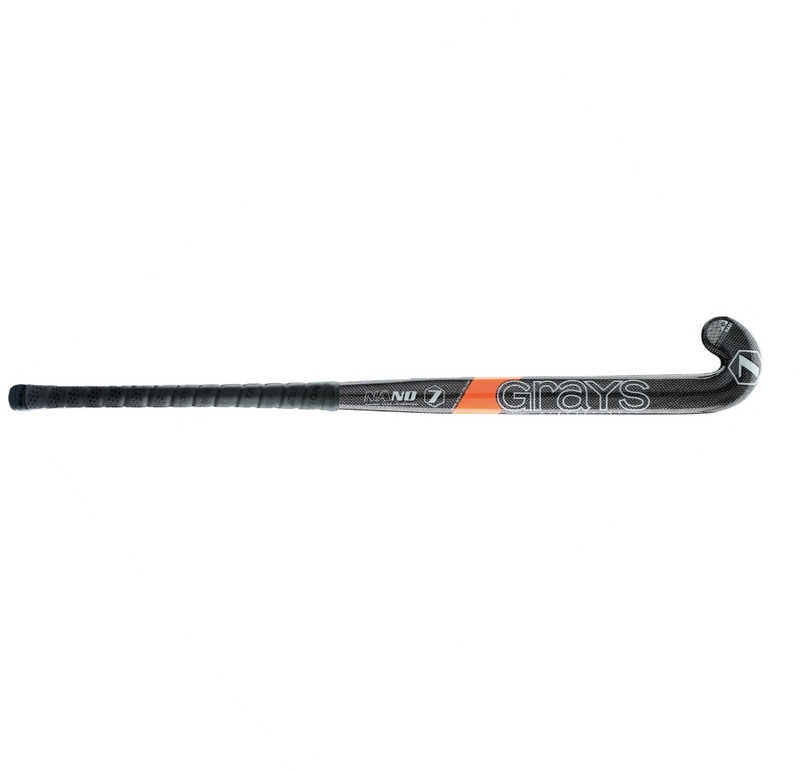 The construction of carbon, fiberglass and Kevlar ® allows this stick to generate more power. The fiberglass matrix ensures excellent control with superb balance and feel. New Anti-Torque Powerbeam technology. 100% Hi-Modulus Carbon Graphite composite offers consistent power and excellent balance and feel. New Anti-Torque Powerbeam Technology and Iproved Feel Area. High level of carbon for consistent power and excellent balance and feel. New Powerbeam Technology. Fully integrated carbon, Aramid ® and fiberglass composite. New Touch Control Zone. Consistent power and excellent balance and feel. New scoop contourtoe that helps cradle the ball and improve ball control when dribbling. Fully integrated carbon, aramid and fiberglass composite. Fully integrated carbon, aramid and fiberglass matrix ensures more power and durability. Features a thinner handle for extra grip. Special light model to help players swing the stick faster and generate maximum power.